Wheat germ is a small part of a grain, and is the reproductive part of the kernel, making it nutrient rich and good for use as a supplement. There is not a product that most people regularly keep in their homes; many cooks may not have it when specific recipes call for it. However, you can substitute wheat germ with many other ingredients that will be more readily available in your pantry. For those who suffer from wheat or gluten allergies and intolerances, substituting wheat germ with other ingredients is a must. Below you’ll find some common substitutes for wheat germ, some of which are gluten free. 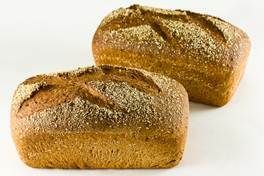 Whole wheat flour is made by grinding whole wheat kernels, so it naturally contains wheat germ. Just be sure to sift whole wheat flour well as it can be a little coarse and dense. Add ingredients in the order given into the bread machine pan. Start dough cycle. (On my machine this takes 2 hours). Once the dough is done remove it from the pan onto a floured work surface. Roll dough to fit the shape of your pan. 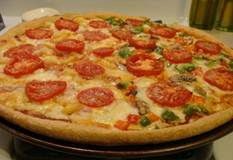 This recipe makes two 14 inch round pizzas. Brush lightly with olive oil and add toppings. You can hold this dough, with just the olive oil, for a couple of hours in the fridge covered in plastic wrap. Bake in a preheated 450 degree oven for 10-12 minutes. Flax seed is full of omega-3 fatty acids, Vitamin B, zinc and folic acids, making it a nutritious substitute for wheat germ. Flax seeds can make your food a bit chewier. Place ingredients in your bread machine as directed by your manufacturer. Set to dough cycle. After initial rise, remove, shape in a large round loaf (or whatever you like), let rise again on a cornmeal dusted baking pan. Preheat oven to 400 deg. If desired, brush loaf with an egg wash (one egg beaten with 1 tbs. cold water). Slash loaf with sharp knife. Place in oven. After 15 min., reduce temperature to 350 deg. Bake for an additional 25 minutes or until loaf is done - an instant thermometer should read 205 deg. Turn onto cooling rack and let cool. If using flax seed, 2/3 cups seed will grind into 1 cup flax meal. 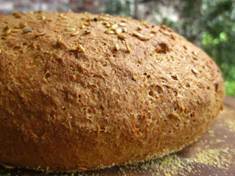 If using egg wash, you may also sprinkle loaf with whole flax or poppy seeds. Fresh bread crumbs are the best substitutes for savory recipes calling for wheat germ. Toast some bread and then grind it or put it through a food processor until it becomes a rough crumb. Soak the breadcrumbs in the milk and oil. While it is sitting mix the other ingredients together. Add the flour, salt, and baking powder and eggs to the milk and mix. Pour onto a hot griddle and cook until done, flipping once. Wheat bran has a taste that closely resembles wheat germ. Substituting rice bran or oat bran is best for those with a gluten intolerance. 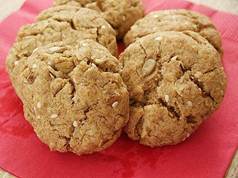 Oat bran can also provide a more moist texture in baked goods. Buckwheat is also a good gluten free substitute. Measure ingredients in order listed into bread machine pan. You can use a Grain setting and for 1 1/2 pound loaf. If the dough seems too dry when first mixing add 1 TBSP of coffee or water. Ground nuts and seeds add a hefty dose of protein to baked goods, and impart the same nutty flavor found in wheat germ to any recipe. These ingredients are especially good for baking items like breads and cookies. 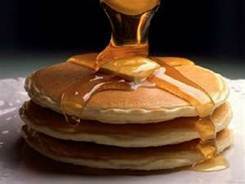 Cream together margarine, shortening, sugars, eggs, and vanilla. Stir in flour, salt, soda and oatmeal. Mix well and add in sunflower seeds and chips. Shape into balls; flatten slightly on ungreased cookie sheet. Bake at 350 degrees for about 10 minutes.